Children’s Church – Children’s church is available during all morning services for children two to second grade. Typically, children leave when directed immediately before the sermon and walk with the Children’s Church worker to the Children’s church area. There they hear a Bible story, sing songs, and complete a related project. Parents are welcome to go with their child if they wish, or stay in the service. Children’s Church is held on the second floor of the Kerr Building. Sunday School – Sunday School meets at 9:45 a.m. for age-appropriate learning experiences. Youth and adult Sunday School classes are also available. 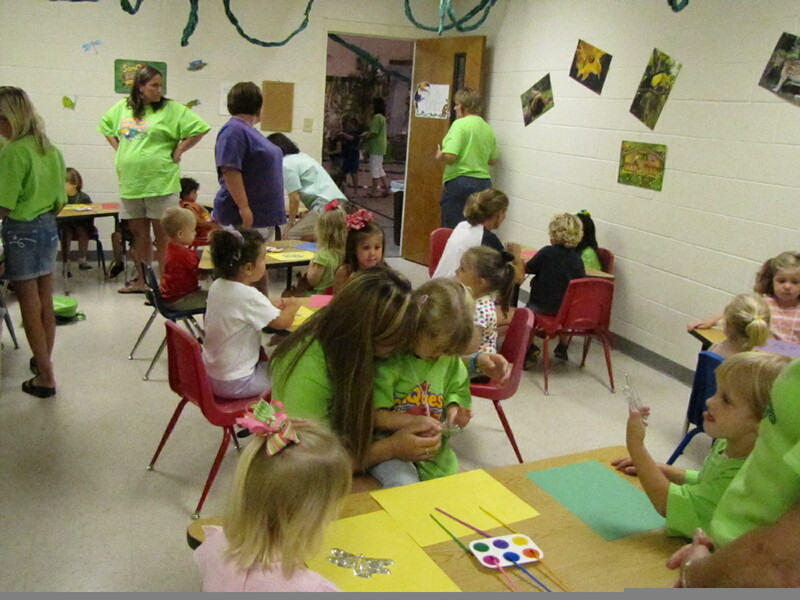 Preschool Sunday is held on the First floor of the Kerr building (near the nursery). Elementary Sunday School is held on the second floor of the Draper/TAC Buildings. Nursery – The nursery is available to all children two years old and younger. The nursery is located on the first floor of the Kerr Building. Wonderful Wednesday – Each Wednesday after school, children with written permission are allowed to walk from the Elementary school to our facility (with chaperones from First UMC) for an hour of Bible stories, snacks, and play. It is designed for children in grades K5 thru 5th grade and held in the TAC Building. Vacation Bible School – Typically, held the second full week of June, VBS is an energy-packed week of fun and learning. Activities and classes are planned for children between the ages of three and fifth grade.